My RSS feed fills with the very sad news of Phillip Seymour Hoffman’s death. The tragedy of addiction, the anger at being robbed of his performances for the next however long, and the amazing talent that left us too soon. Now, I believe that all of this is true. But none of it has anything to do with Phillip Seymour Hoffman. See, mourning is a process that we have been doing together for centuries as human beings. The viking funeral, the open casket, the spreading of the ashes in some sacred place. We come together as a community to support those closest to the death, in hopes that someone might do the same for us. Same as with weddings, only difference is no one wants to admit they hope people come to their funeral. That would be too vulnerable, too openly admitting that dying is close to all of us whether we know it or not. Which leads me to Mr. Hoffman. When an actor dies, especially a talented and beloved one, everyone sounds off on social media. Shared articles, youtube clips of favorite scenes he did, interviews where he revealed a bit more about the actor’s craft and art. But here’s the secret: an celebrity is never mourned for what they truly are, but what we secretly hope we could be. We get off on the idea that being mourned by millions could happen to us. We join in the noise on the internet, but that’s the closest we get to contributing to the memory. Do any of us really know Phillip Seymour Hoffman as a person? Have we had coffee with him? Did we send him a handwritten note wishing him well and Merry Christmas? Did we attend his wedding? The majority of us did not, and yet we feel gut punched by his demise. Millions of people all feeling the sting of his loss, because the story we felt was not quite over. We felt we deserved more of him and yet we didn’t know him at all. I am not marginalizing the tragedy by any means, but how close do we claim his tragedy as our own because of his celebrity? When I was younger, I attended the funeral of someone from my high school. A person I had never even spoken to in class, nor interacted with on any level. And yet, being there with his family in the front row, the entire football team laying their jerseys on the casket and people vomiting out of grief? I cried and mourned for someone who didn’t even know my name. Who was I to cry for someone I barely knew, out of empathy or not wanting to seem like I didn’t belong to this community? The humanist inside me will say the former reason, but the truth is probably the latter. I will say that there is something about actors that changes the dialogue. An actor’s job is to transcend, to go beyond his form as himself and become something grander than anyone could imagine possible. To expose themselves in front of us, naked and honest. When a beloved actor dies, we almost think he’s playing a trick on us. That this “death” is just a job that he’s doing and eventually someone will spot him at a Starbucks somewhere in Tulsa, Oklahoma. Yeah, tell that to his actual family and friends that “dying was the greatest role he ever played on any of us…so exposed..so REAL”. That’s messed up, and anyone with half a brain would tell you to stop speaking like you knew him. We feel like we own these celebrities, their bad outfits, their meltdowns, so why are we only present with them as human beings when they die? Why does Phillip Seymour Hoffman with a needle in his arm make him suddenly our best friend, when we ignore the homeless man on the street who dies right in front of us, every day. I’m not saying one death is more tragic than the other, but when dealing with addiction and dying it seems like we are willing to take up the cause of someone we’ve seen in pictures rather than help the person next to us. Which leads me to my point – when we mourn celebrity, we are really mourning for the part of ourselves that we believe could be larger than life. The exact same way Mr. Hoffman was, and the exact way he dove into every amazing part he played. So when addressing anyone’s death on social media, speak about the parts you admired and knew but don’t pretend like he was your favorite teacher in school. Recognize the artist for who he is…the one who inspired you to do great things. And then DO them, because what better way to remember someone’s inspiring life then by having one yourself? 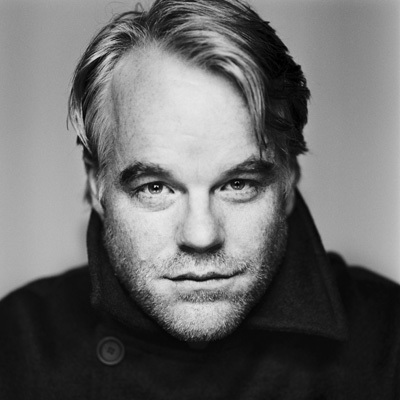 Why not become someone ten times greater than Phillip Seymour Hoffman, but in a way that only you can do? I do hope that those who knew Mr. Hoffman intimately find peace in the passing times. But as for me, someone who admired his work but did not know him? I hope that if my destiny is to be mourned by millions when I leave this planet, that I will handle that destiny with grace. If I am to be mourned by one, may that person be TRULY changed by my being in their life. May we all follow our path in this life with strength, caring and compassion for those around us. May we experience loss in our way but recognize when we are lost in the noise of what loss really is. May we recognize the truth in our own lives and stop borrowing the sad ones from others. May we live happy, healthy and holy.